To call him a compulsive gambler would be an insulting understatement. Setzer would bet anything and everything on luck. You can ask his adoring, ever-present fangirl army if you want. 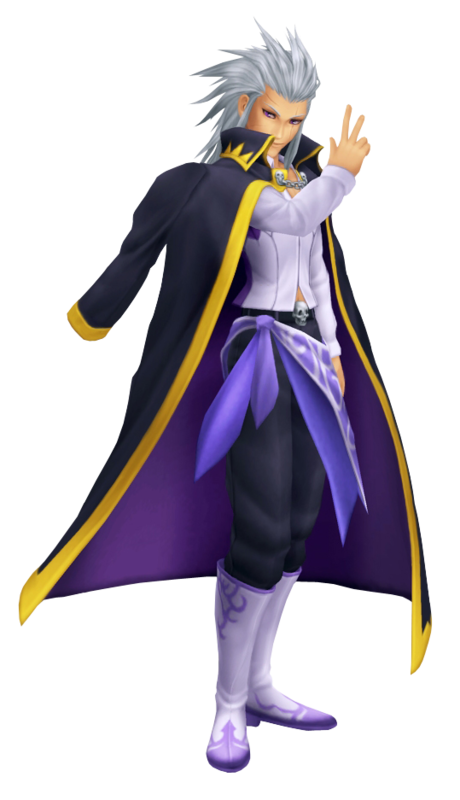 In the data Twilight Town, Setzer was the reigning champion of Struggle. He made a deal with "rucksack" (Roxas) that he'd give him something nice (a medal) if the boy would let him win. Roxas blew their agreement and became the new Champion. Setzer was about to protest, but he quietly exited the stage instead. The real Setzer was also the previous Champion before Seifer. Sora defeated him during the tournament before entering the final round.